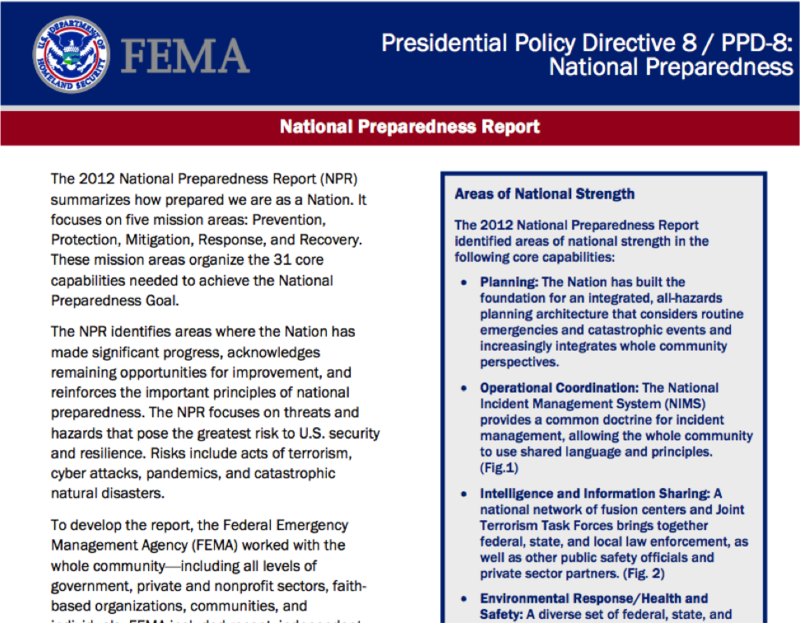 FEMA’s issued a report today, May 3, 2012, on the state of preparedness in the nation as part of the Presidential Policy Directive 8: National Preparedness. Overall, it seems the grade is about a B+. There are some areas that still need improvement, and unsurprisingly, that includes preparedness for people with access and functional needs.